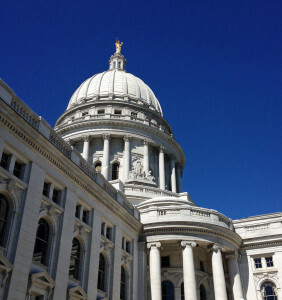 Assembly Republicans have agreed to a compromise offered by the governor – potentially ending a stalemate that’s delayed the state budget for almost three weeks. According to Wispolitics.com, the plan reportedly would eliminate $203 million in income tax cuts Governor Scott Walker originally proposed, and direct that money towards paying for road projects over the next two years. In a letter to the governor sent Thursday, Assembly Republican leaders said they have accepted the plan, calling it a wise use of the state’s current resources. Republicans in the Senate have not yet said whether they will support the proposal. It’s expected to be a topic of discussion though when members caucus by phone this afternoon.